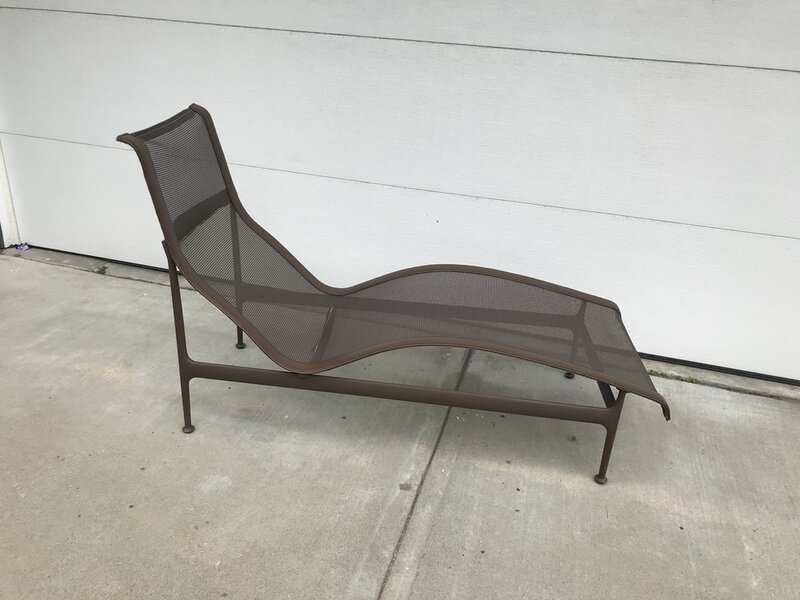 Richard Schultz for Knoll 1966 Leisure Series Contour chaise lounge in excellent condition. 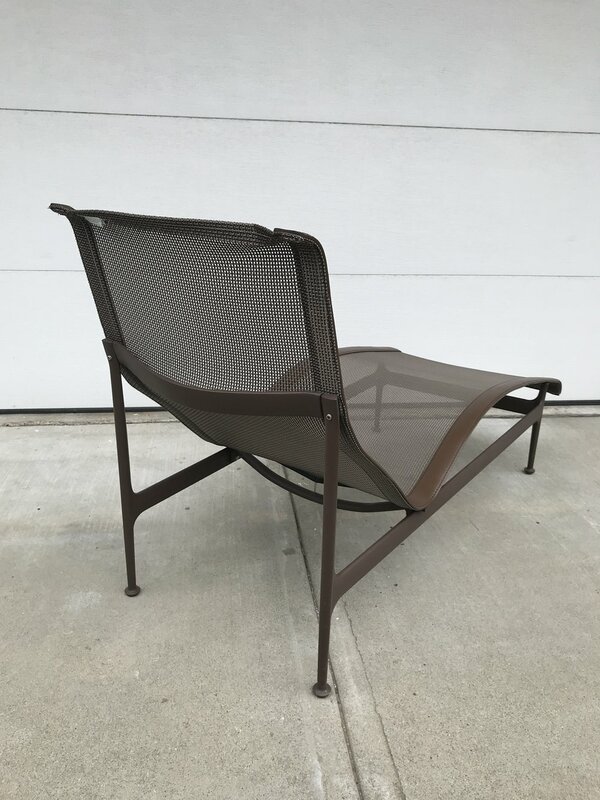 Seat and back are woven vinyl coated polyester mesh, frame is welded cast and extruded aluminum finished in weather resistant polyester powder coat. Shows little sign of use or weathering. Other pieces of the 1966 series also available. Brown with brown mesh and brown strap.